Fairytale Scene Maker. Fantasy & Dress Up Game. Prince & Maiden. Dress Up Game Fairytale Scene Maker. This is an excellent designer game and fantasy game. You can create a scene with the the maiden and the prince, they are the main characters. You can add their friends as well. Or you can just go for making your own fairytale and fantasy world the way you want. This is one of the best games we have seen. It is made by AzaleasDolls. 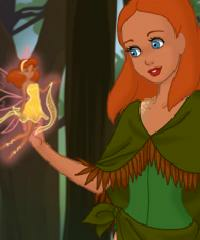 If you love this game then check out our popular Disney Heroine Creator Design Game. Start in the bottom left corner to add either a male or female character - add up to eight characters. Click on "View" to position them onto the scene, and "Background" to change the backdrop and add draggable animals and pixies.